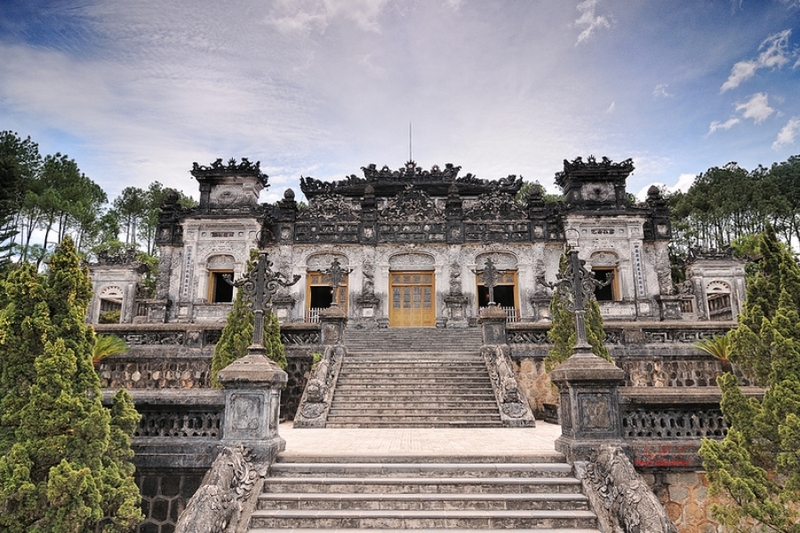 To start with, in the morning we will come and pick you up at the hotel and then we start hue city tour. So, our first stop of our journey is Hai Van Pass ( the Pass of the Ocean Clouds) with beautiful view of Da Nang bay and snaking drives. And we might stop for you to take some pictures. On the top of the pass are some ancient relics built in the old days by the people to protect the pass from both sides. We then go down the pass and stop at the foot of Hai Van Pass to grab panoramic view of Lang Co fishing village. What a lovely view with one side is the long sandy beach and oyster farm the other side. To continue our trip, we will pass by little towns, villages, lagoons, rice paddies along the way. 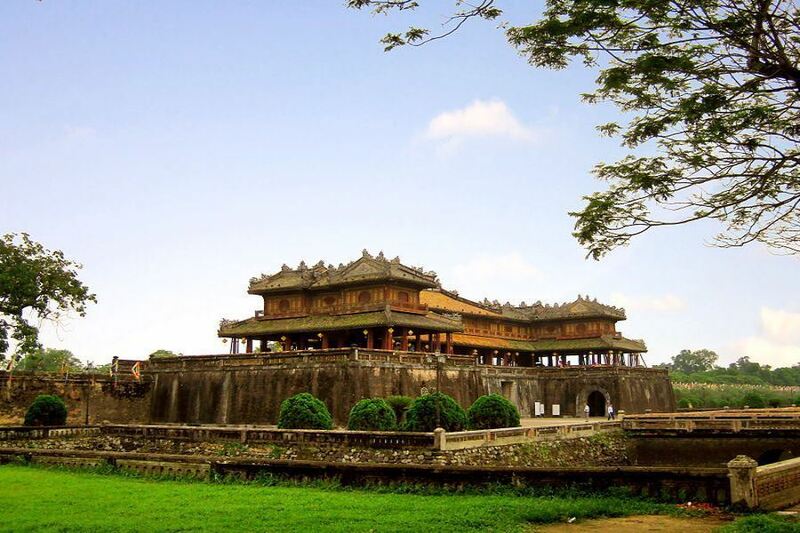 On arrival in Hue, we will visit Hue Citadel – defensive system of the Nguyen royal family with three rampart circles from outside to inside: Hue Citadel, Hue Imperial city, Hue Forbidden city. We then wander and pay a visit to Noon Gate, Thai Hoa Palace, Royal Theatre, Dien Tho Palace…and we know about splendid time of Nguyen Dynasty. Also, we know about royal activities, typical archiectures of buildings in the old times. Through stories of the tour guide, we understand about Tet Offensive that happened here with fierce fightings from both sides. After that, we might take you to a local restaurant for lunch and you can enjoy specialties of Hue. Then our tour goes on with a drive to Thien Mu Pagoda (Heavenly Lady Pagoda). The pagoda is a lovely spot with pretty view of Perfume river. Located on a small hill, Nguyen Lords built pagoda in 1601 and Nguyen Emperors used to come here many times for poetic inspiration. On arrival here, we then stroll around and visit 7-storey Phuoc Duyen tower, Dai Hung Sanctuary and the old car that reminds you of what happened in the war time when a monk burnt himself to protest the religious freedom of South Vietnam regime. To end the day tour, we then drive to visit Khai Dinh tomb. The tomb is so elaborate with the combination of European and Asian architectures. 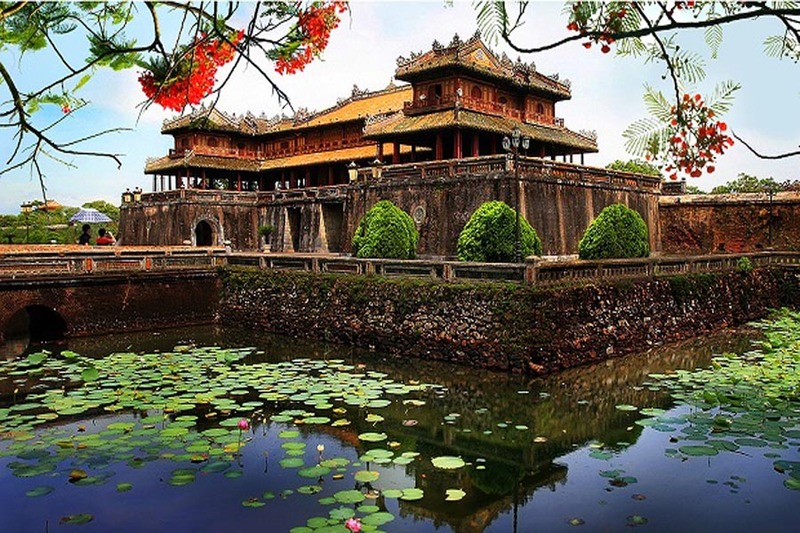 Built from 1920 to 1931, Khai Dinh tomb is know as one the most beautiful and amazing tombs of Nguyen Emperors in Hue. We walk up with many steps to take a photograph of statues of officials, animals, soldiers. And final step up to see Emperor’s Palace with fantastic mosaic architecture. We then go back down and then our diver will take you back. Hue city tour will come an end here. What do you expect with hue city tour? 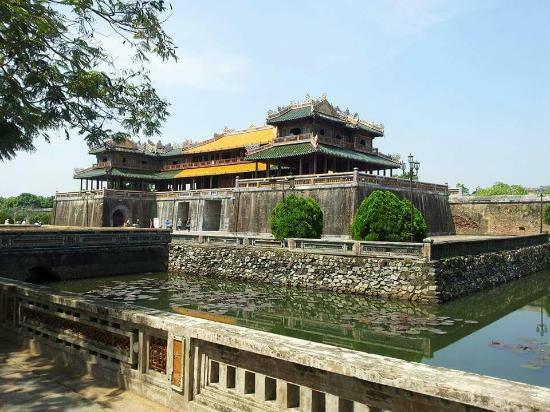 Joining in this tour especially for those travelers who do not lot of time in Da Nang, you will explore Hue ancient capital in one day. You will experience amazing Hai Van Pass, visiting massive Hue Citadel to have a comparison with the one in China. By the way, you can enjoy some of Hue’s special food that is considered the best food of central Vietnam. 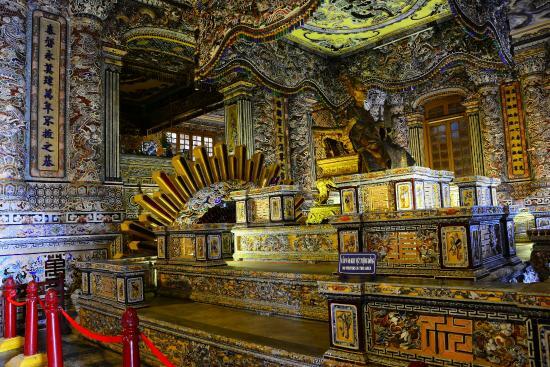 Or a visit to one of the typical tombs of Nguyen royal family to know its ancient building styles. All will be a memorable experience for you all and this trip is definitely worth it. You should not wear short skirts when entering some temples in Hue. Let’s bring shoulder covers if needed. The tour starts in the morning only. How to book Hue city tour?